Close to 88 percent of 2012 Air Force recruits were overcharged $1,200, according to a Military Times investigation. That’s because military recruits are automatically enrolled in the old Montgomery GI Bill, which requires recruits to pay $100 a month for their first year of service. But the Post 9/11 GI Bill doesn’t have the fee and provides much greater benefits. 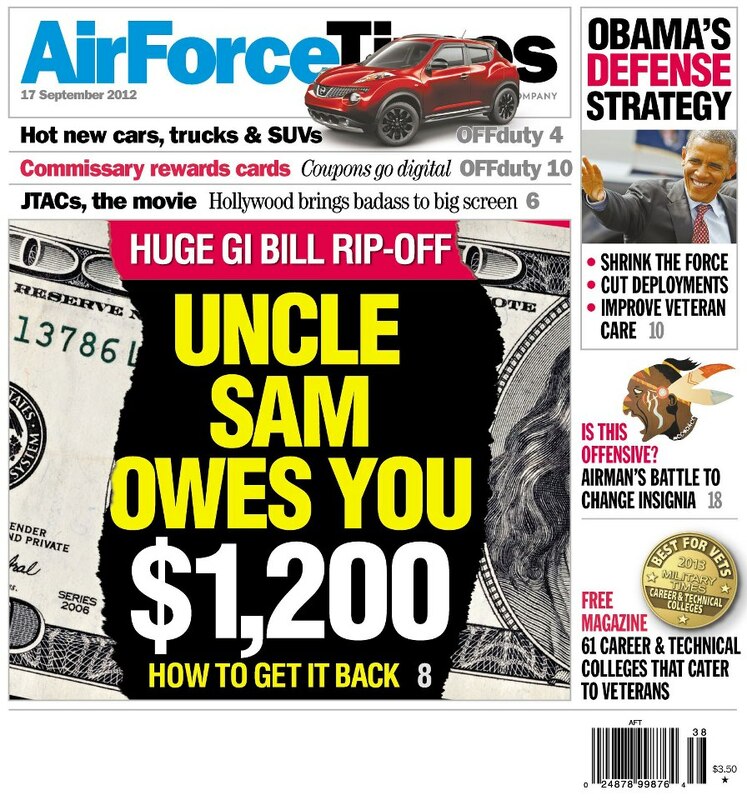 You can read more in this week’s Air Force Times to find out how you can get that $1,200 back. The movie would follow the adventures of a joint terminal attack controller being hunted by al-Qaida in Afghanistan. And if you are thinking about re-enlisting, retiring or getting married, it would behoove you to act before December, when the Military Personnel Data System is being shut down for 20 to 23 days to upgrade the system.